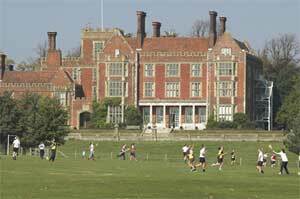 Following on from the very successful major refurbishment projects completed at Benenden School in 2012 and 2013, Ruggles & Jeffery are delighted to have been awarded a fourth major refurbishment programme to be completed during July and August 2014 at Benenden School in Kent. Externally – replacement of windows with new UPVC rose wood external and white inside to brighten up the rooms, replacement of all facias and gutters, replacement of external doors with new UPVC and hardwood.. Restoration works to include Lime brick pointing, stone repairs, brick repairs and replacement, lead work and roofing works, chimney repointing all to meet with conservation on listed building approval. Internally – across several buildings, the complete refurbishment of shower rooms, corridors, HM apartment, Penthouse, Main Entrance & Music Room, male and female toilets refurbishments. We are very much looking forward to this challenge and the opportunity to successfully deliver a fourth major project within short timescales for this very important client.